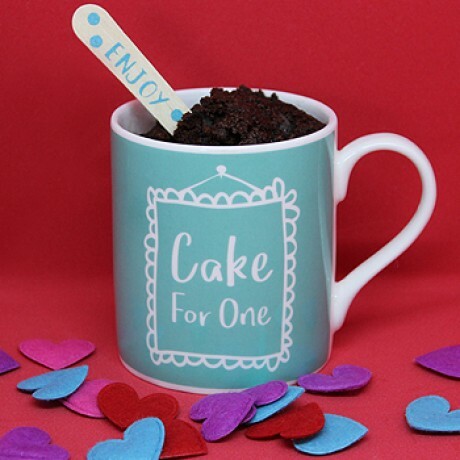 When only a freshly baked cake will do… Mug Cakes for One are here! 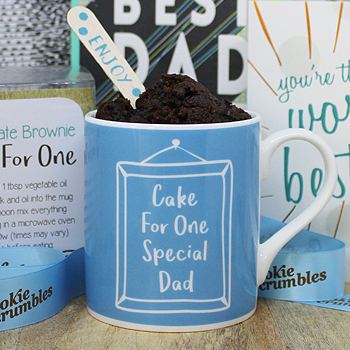 Nothing can bring a smile to a dad's face quite like a delicious cake and especially when baked in under 5 minutes. This brilliant mug gift set comes with a delicious chocolate brownie cake mix packed with chocolate chips. A great gift for any occasion; birthdays, house moving, get better gift and many more occasions. It also comes with a cute little spoon – perfect to tuck in and enjoy the freshly baked cake. This product is dispatched by Cookie Crumbles. This item has a shipping weight of 300g.